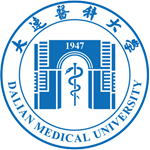 Dalian Medical University (DMU) was founded in 1947, originally known as Guandong Medical College. In 1994, approved by the State Education Commission (SEC), DMU adopted its present name. Nowadays, the university has fledged into a multi-disciplinary medical university which also offers programs in other fields like arts, science, management, and law. DMU offers 12 undergraduate specialties, 4 departments doctorate programs, and 7 departments offering masters programs. In addition DMU has 11 laboratories conducting joint research with a range of foreign institutions.